Humic acid (HA) can adsorb onto mineral surfaces, modifying the physicochemical properties of the mineral. Therefore, understanding the sorption behavior of HA onto mineral surfaces is of particular interest, since the fate and transport of many organic and inorganic contaminants are highly correlated to HA adsorbed onto clay surfaces. Due to the extreme heterogeneity of HA, the extracted IHSS Leonardite humic acid (LHA) used in this work was fractionated using an ultrafiltration technique (UF) into different molecular size fractions (Fr1, > 0.2 µm; Fr2, 0.2 µm–300,000 daltons; Fr3, 300,000–50,000 daltons; Fr4, 50,000–10,000 daltons; Fr5, 10,000–1000 daltons). Equilibrium and the kinetics of LHA and fraction adsorption onto kaolinite and montmorillonite were investigated. The results demonstrated that the maximum adsorption capacity of LHA, Fr1, Fr2, Fr3, Fr4, and Fr5 was 5.99, 13.69, 10.29, 7.02, 5.98, and 5.09 on kaolinite while it was 8.29, 22.62, 13.17, 8.91, 8.62, and 5.69 on montmorillonite, respectively. The adsorption equilibrium data showed that the adsorption behavior of LHA and its fractions could be described more practically by the Langmuir model than the Freundlich model. 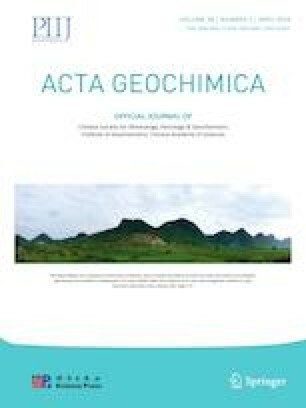 The rate of humic acid fraction adsorption onto clays increased with decreasing molecular size fraction and increasing carboxylic group content. Pseudo-first- and second-order models were used to assess the kinetic data and the rate constants. The results explained that LHA and its fractions adsorption on clay minerals conformed more to pseudo-second-order. This work was funded by a Fulbright Visiting Scholar fellowship to Mohamed El-sayed and performed at South Dakota State University.